Think of the cost of the shampoo! An Australian man says he hasn’t had a haircut or a shave for more than a decade [and his]…free-flowing locks and beard have become something of an attraction in Elmhurst, Victoria. The 42-year-old insists he has not had so much as a trim in more than ten years – and to the consternation of local barbers, he has no plans to start now. 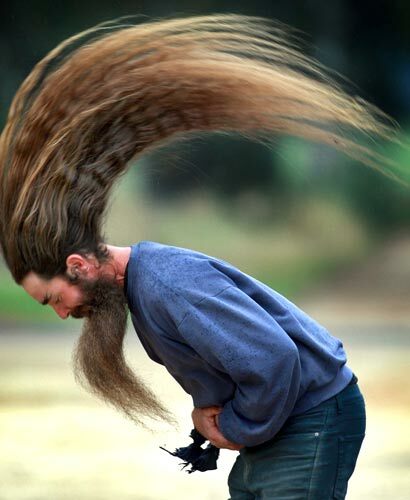 June 20, 2008 Posted by oldstersview | People, Strange	| beard, Long hair | Comments Off on Think of the cost of the shampoo!